Comments: One of the best plants in the winter landscape because of its colorful foliage. Plant in bright shade to get the best brilliance in its golden yellow foliaage. Grows in full sun, but leaf scorch may occur. Called the "poor man's" boxwood since it fits the same need. 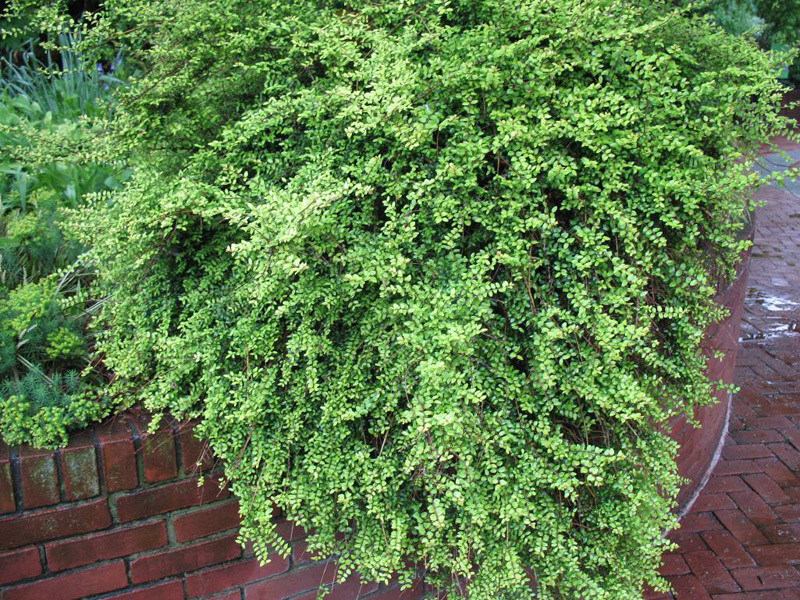 However, it grows faster but does not have the more desirable qualities of boxwood.